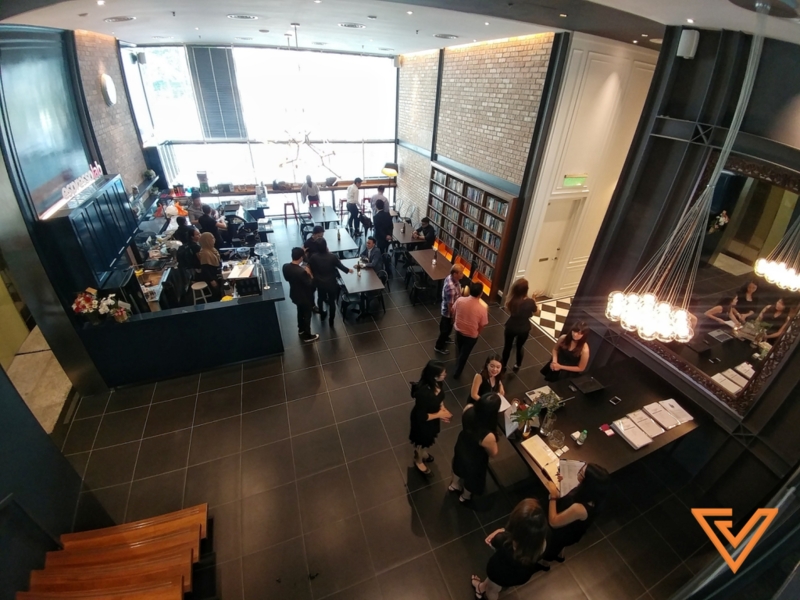 Since announcing the his new space, Timothy Tiah has been keeping busy. 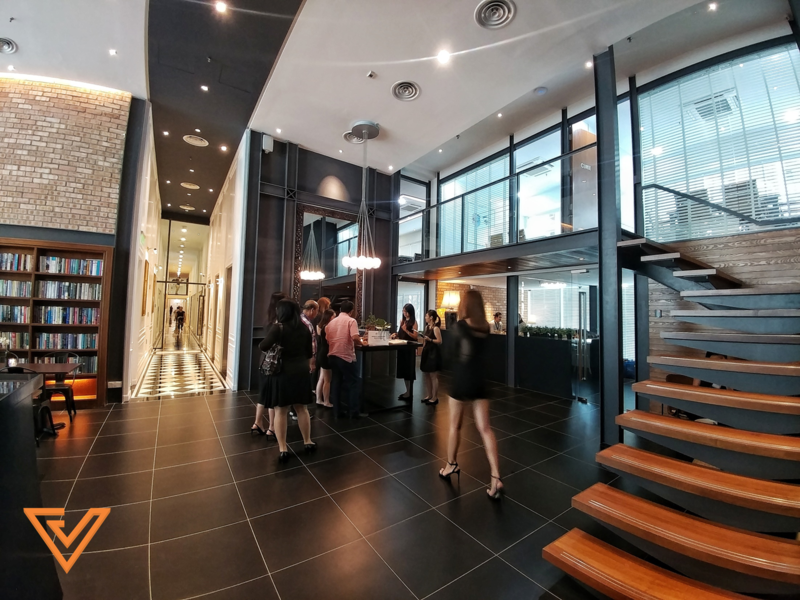 Today, we got the opportunity to take a look around his latest project, Colony at its official launch. 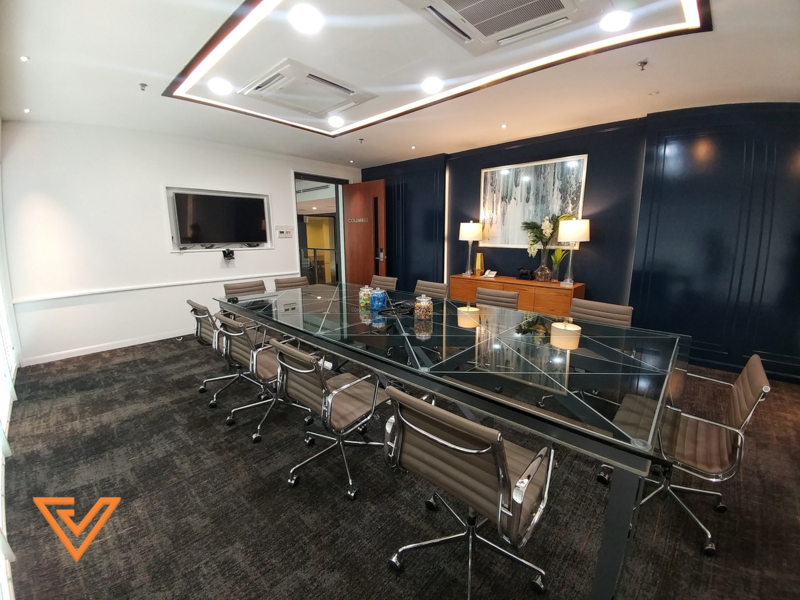 Located in the heart of KL right next to KLCC, the central location is just one of its many advantages. 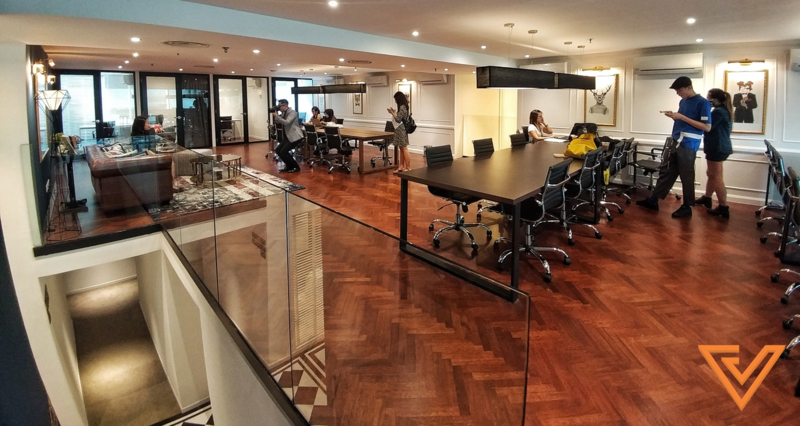 As a co-working space, they are also trying to pioneer the serviced office concept. They’re estimating a 300-strong membership in their space that spans over 18,000 square feet. 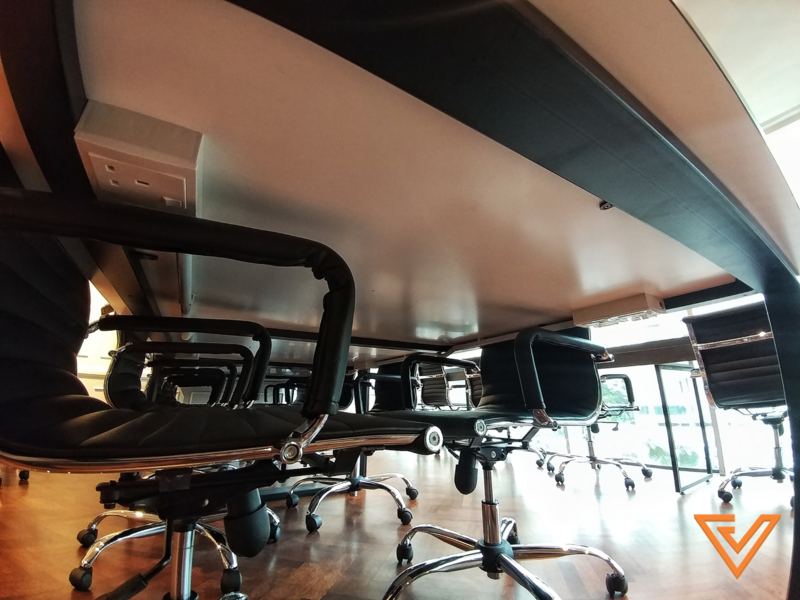 Looking to create an ideal working environment, the facilities certainly do appear to live up to that. Let’s just say we’re suffering from major office envy right now. 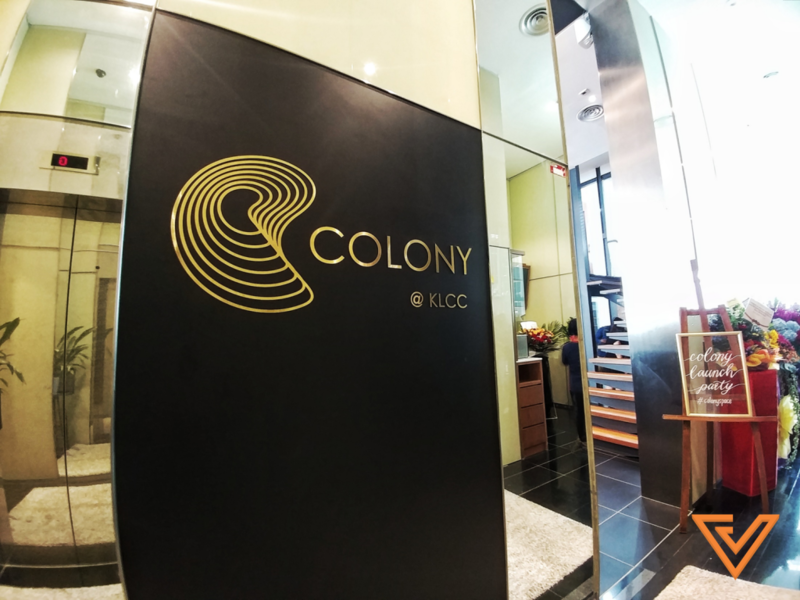 When you step out of the lift, the logo the first thing you see of Colony Co-Working Space. The signage greeting you at the entrance. 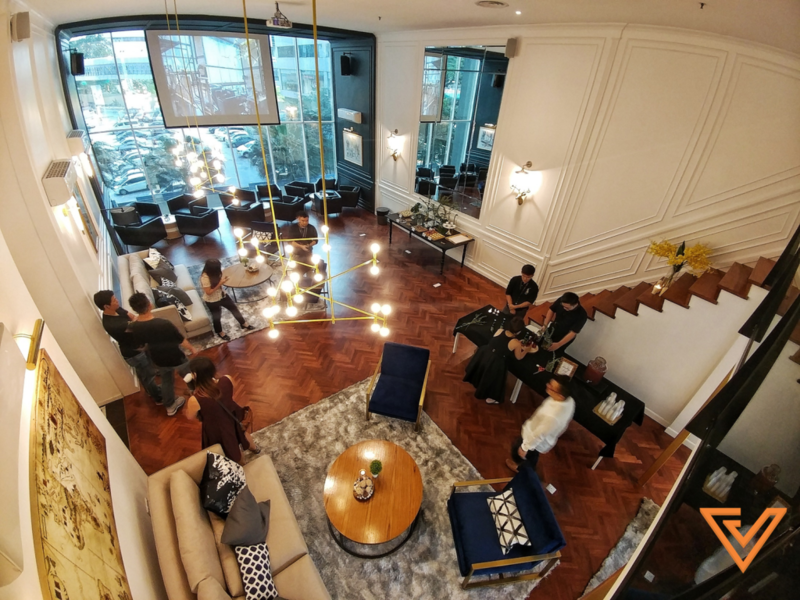 The lobby area come equipped with Espressolab and Bold Grains, a café concept by The Healthy Food People. A shot of the lobby. The stairs on the right lead up to the three meeting rooms. A different angle of the main lobby area. A cosy nook under the stairs. 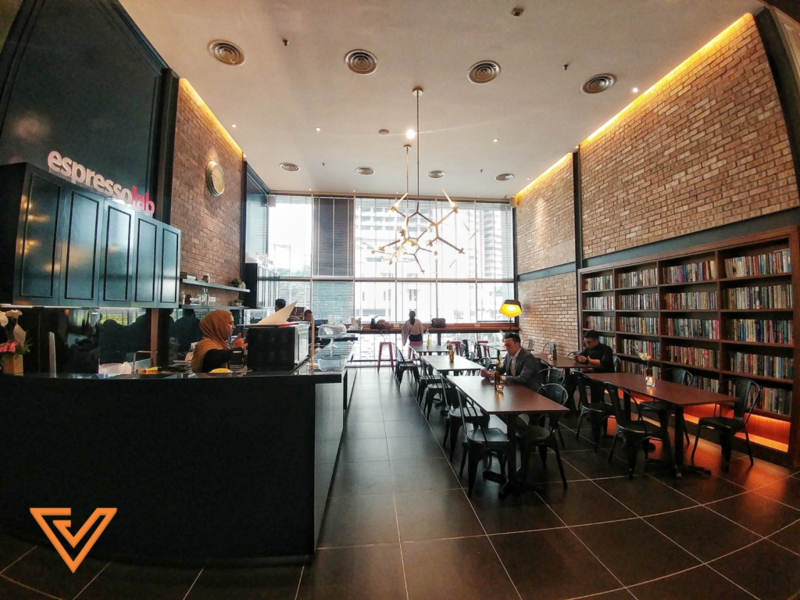 The café area also houses a mini-library. An angle from the top in front of the meeting areas. 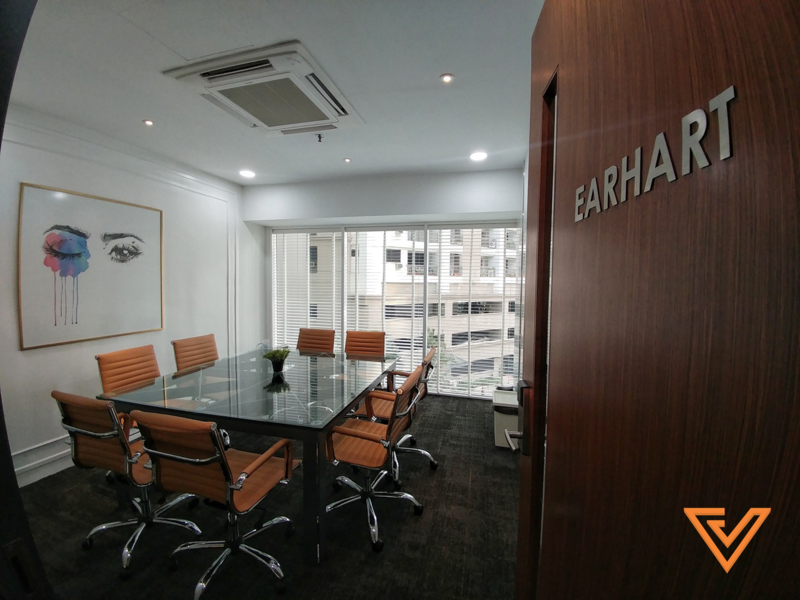 The three meeting rooms are named after noted personalities. 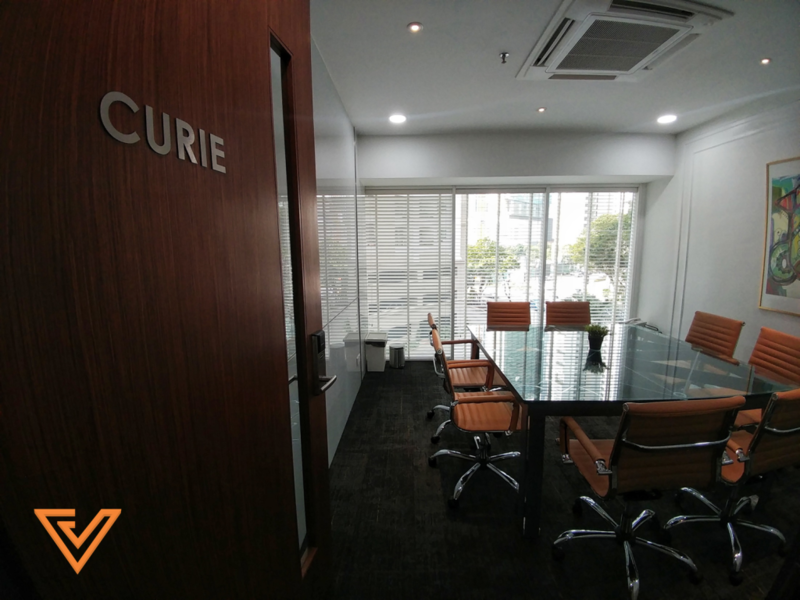 One of the meeting rooms, named after Marie Curie. This room bears the famous Amelia Earhart’s surname. Christopher Columbus lends his name to the largest meeting room. It also houses Plug and Play technology for video conferencing where everything can be connected with a USB. Below is the entrance that leads to the office suites. It requires an access card to enter. 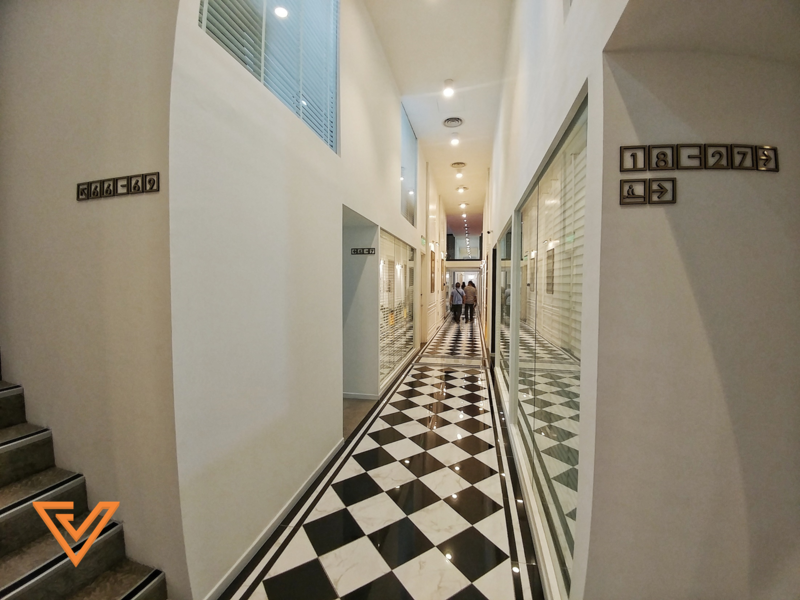 The corridor is brightly lit, and the monochrome design goes really well with the marble flooring. 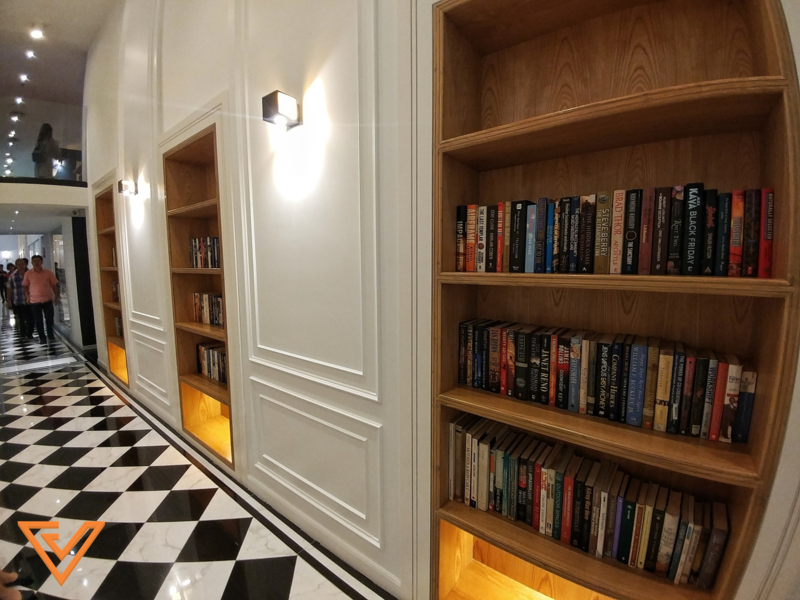 All along the corridor, spaced out at various points, there are bookshelves slotted in. 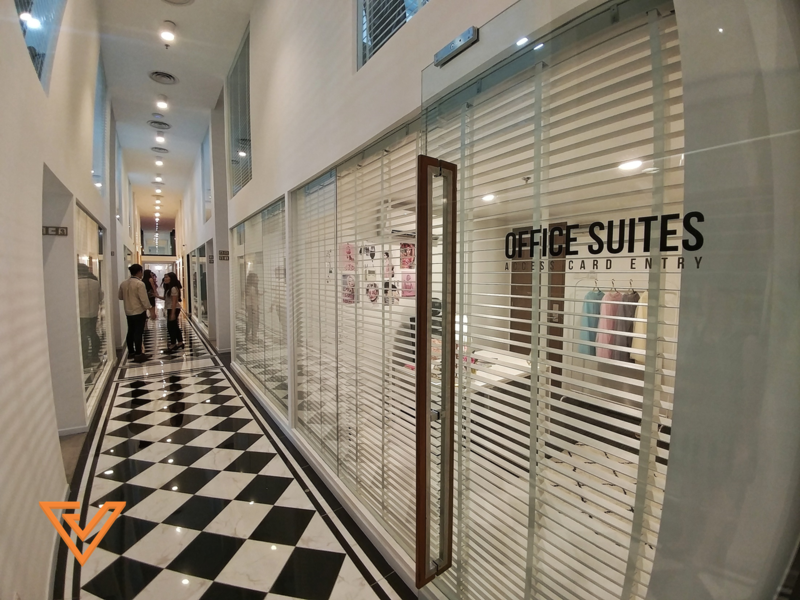 Office suites on the left and right. We went to check out the co-working space first. 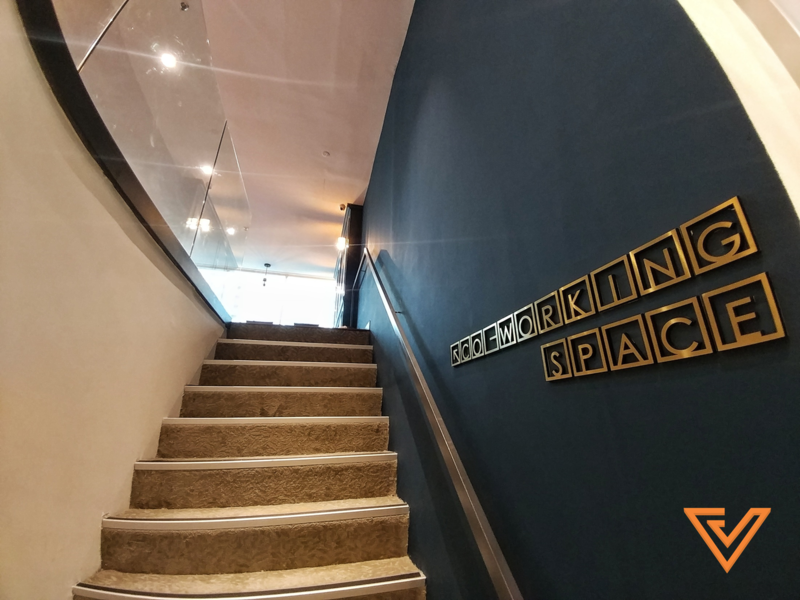 The stairs up to the co-working area. 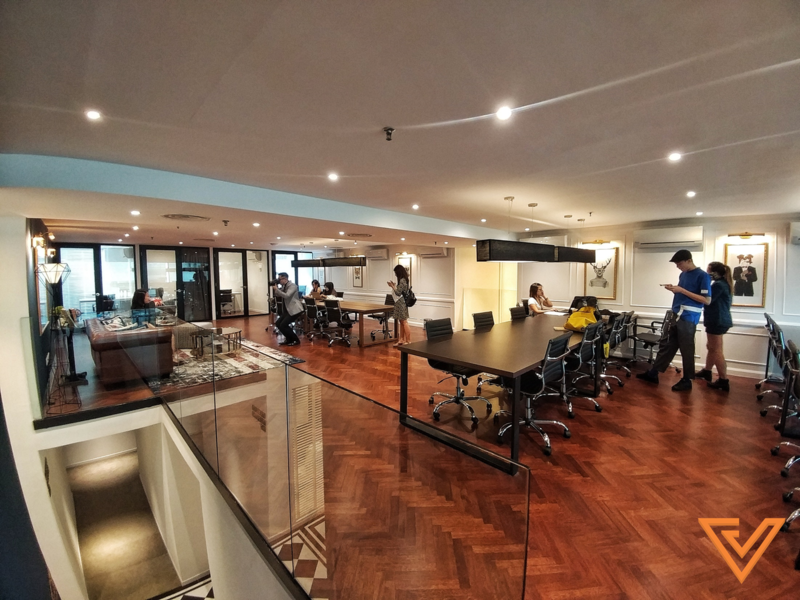 The co-working space, with rentable desks. 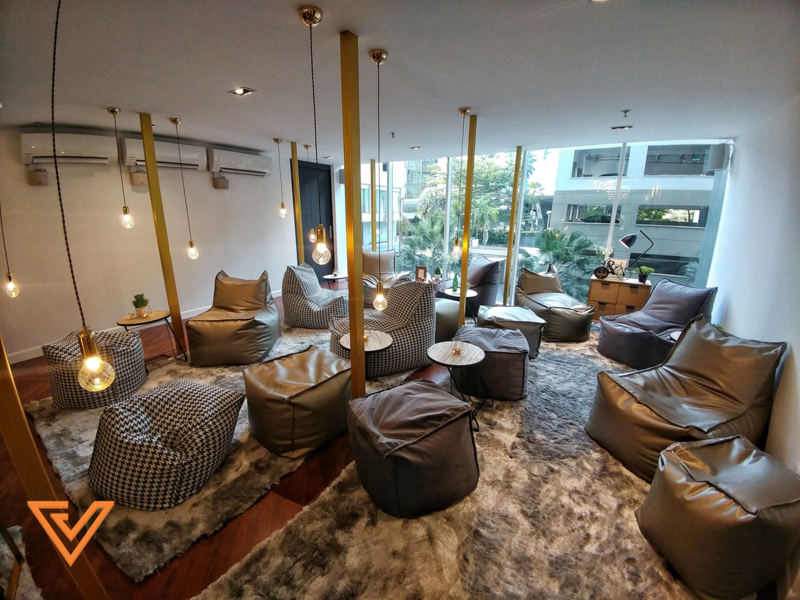 A common area in the co-working space. For the desks, the plug points are directly under the table. No more tripping over wires. 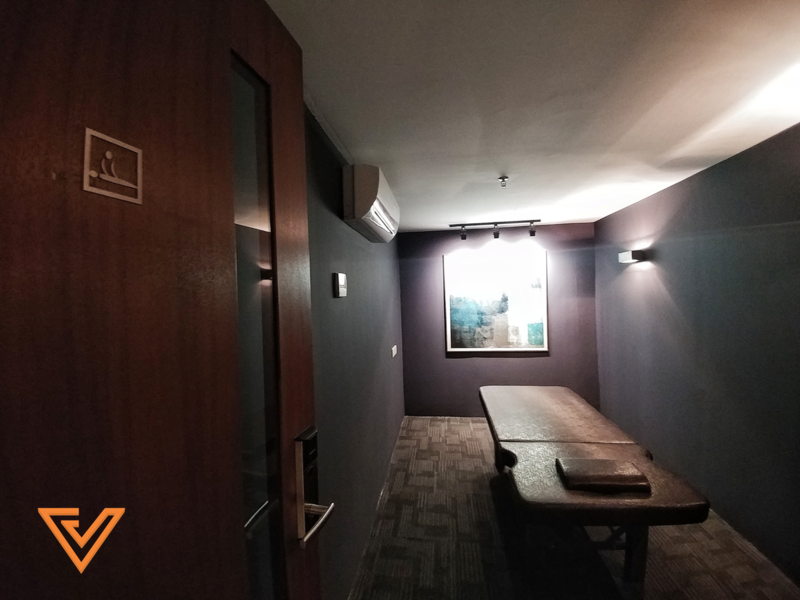 There are also two private phone call rooms that work on a first-come first-serve basis. One special facility that Colony has is a nursing room. Colony is also home to a massage room and two sleeping rooms. 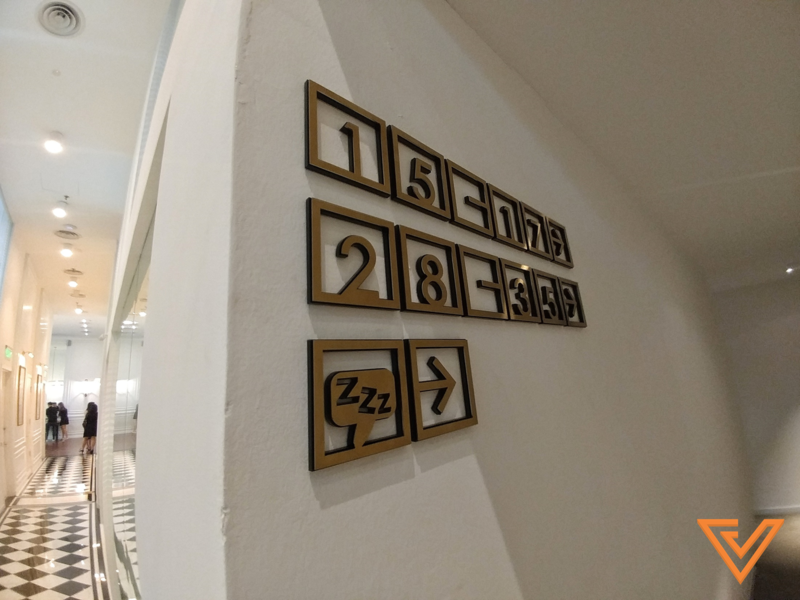 Following the signs to the nap rooms. 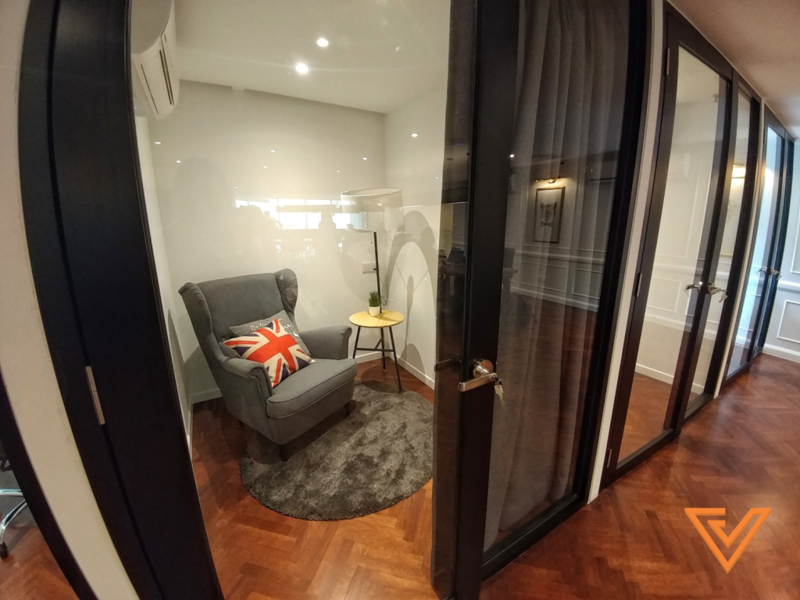 The nap rooms can be reserved at half an hour intervals, going up to a maximum of one hour. 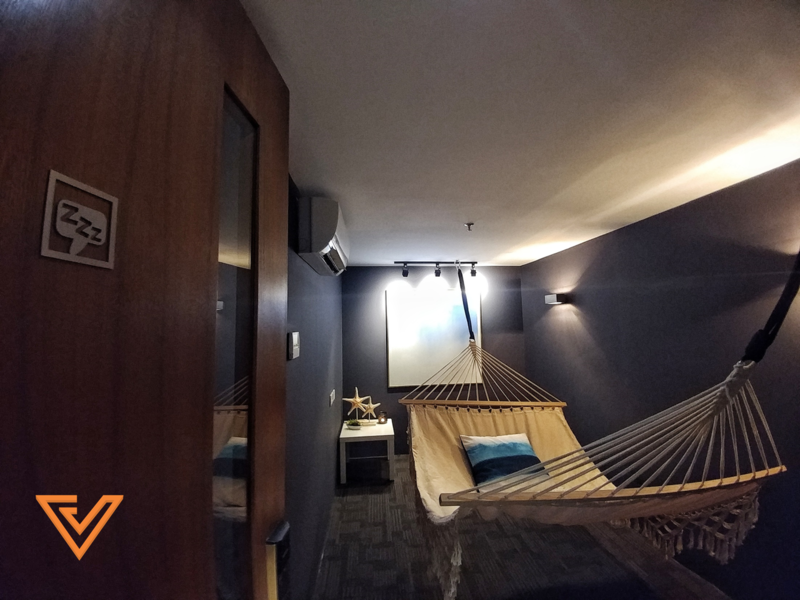 The second nap room has a hammock! At the massage room you can hire an on-call masseuse, but you have to make the reservation a day in advance. They have not yet released the rates for the massages, but Colony plan to have the menu up soon. We know where we’d spend all day. The main event space is another highlight of Colony. An overhead view of the main event space. Another corner of the main event space. The space is characterised by high ceilings and full-length windows, letting in lots of natural light. There’s also a projector screen. 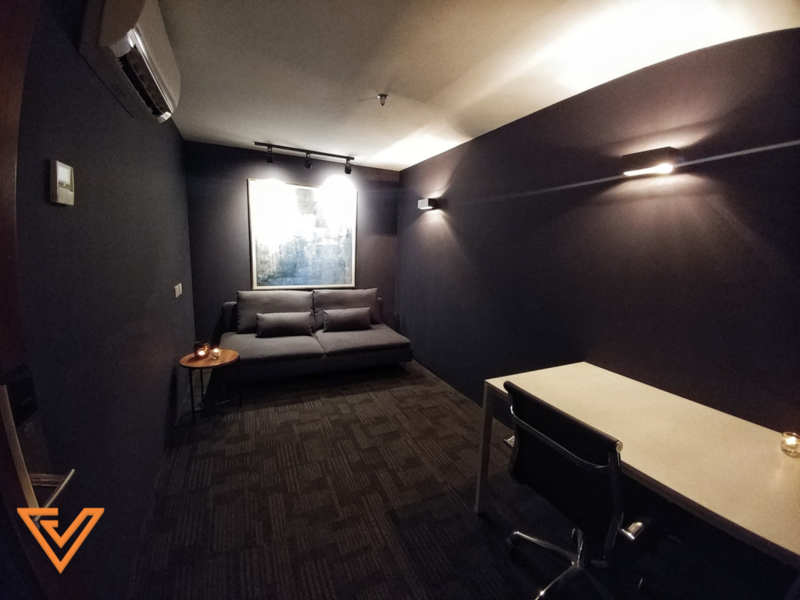 The office suites come with a standard layout. Renters can move in their own furniture and redecorate the room as they wish. A three person office, with the standard layout. Renters can customise the area however they like, but they have to return the room to its original state upon leaving. 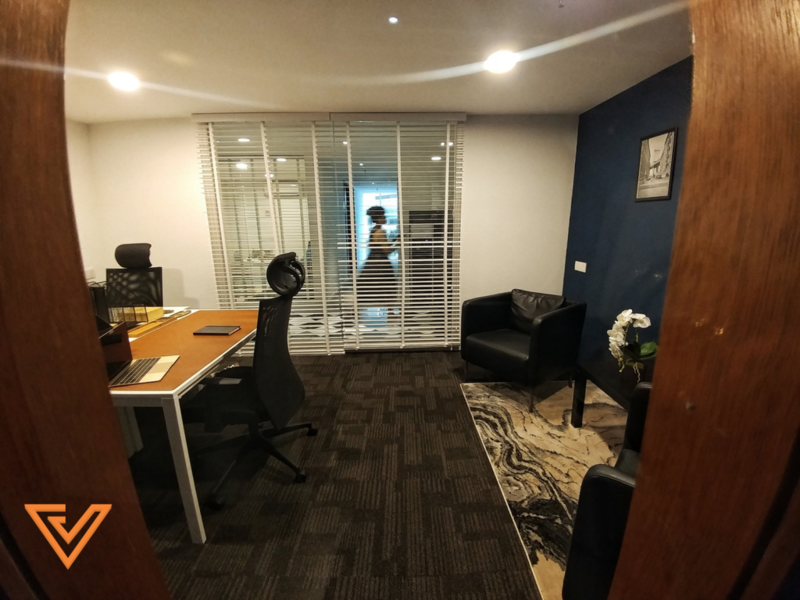 An office suite that has already been decorated. 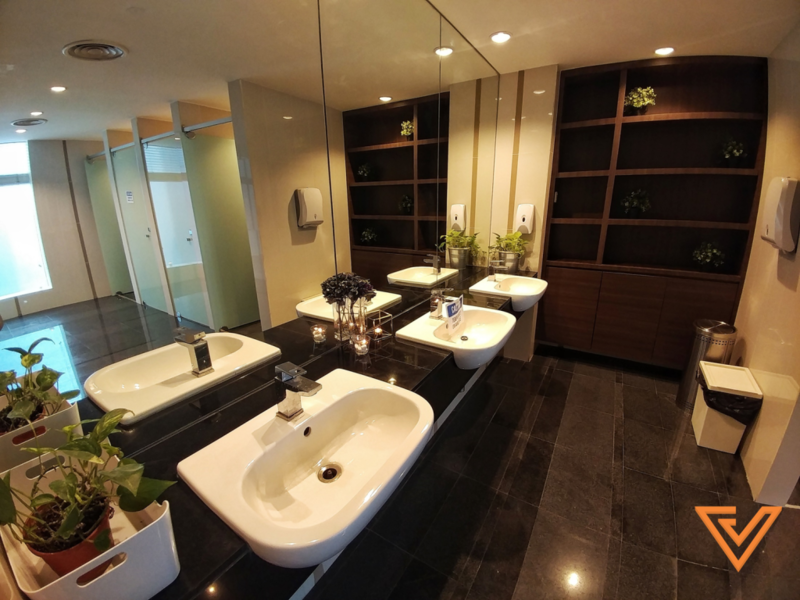 Renters can also opt for an interior designer to design their spaces for them. 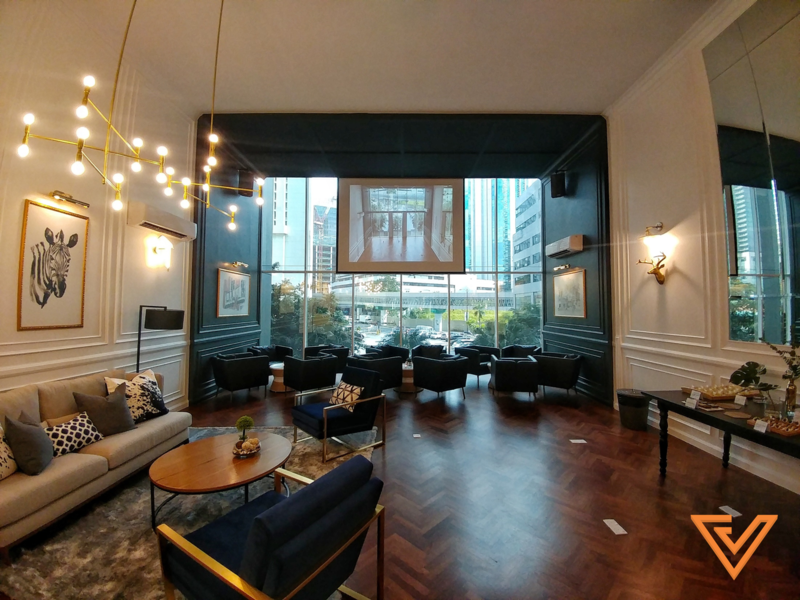 Another example of a room that has already been designed. 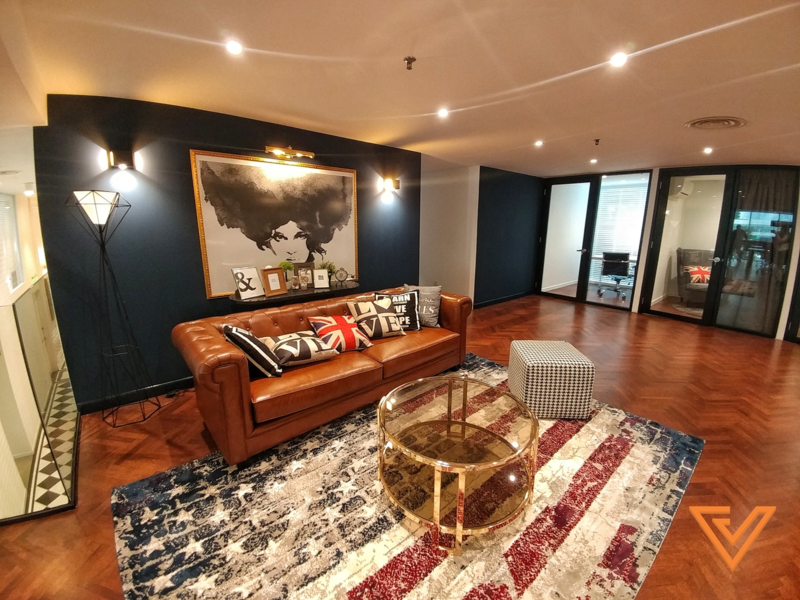 If they put in a request, Colony will connect them to an interior designer who will design the room for them according to the theme they want. 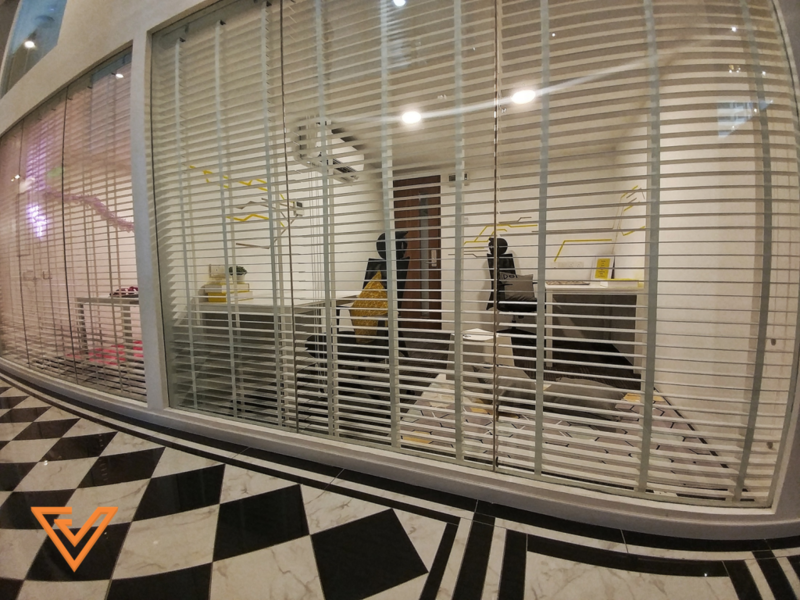 A peek into one of the rooms that has already been designed and occupied. We couldn’t resist looking into the toilets too. Even the bathroom looks classy. 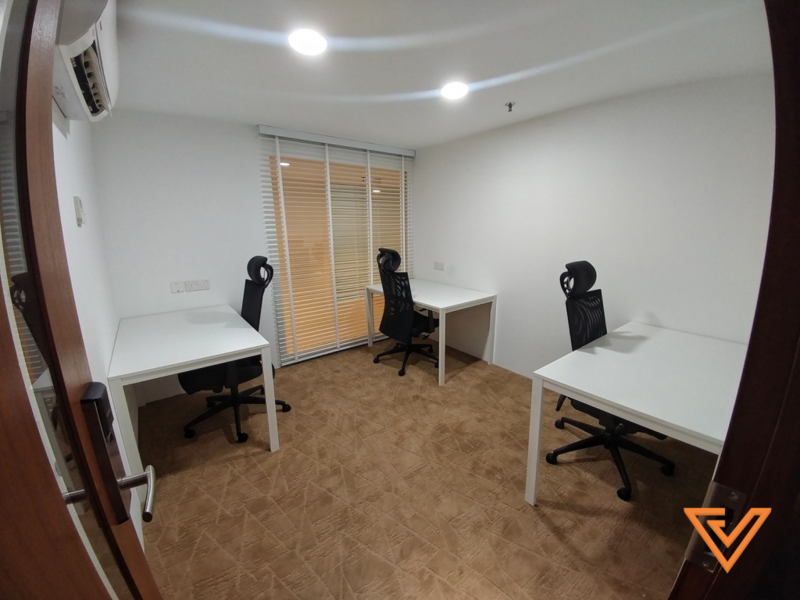 Another facility available at Colony is the parents’ room. It does not come with supervision—you’ll have to watch your own kids or bring a nanny. 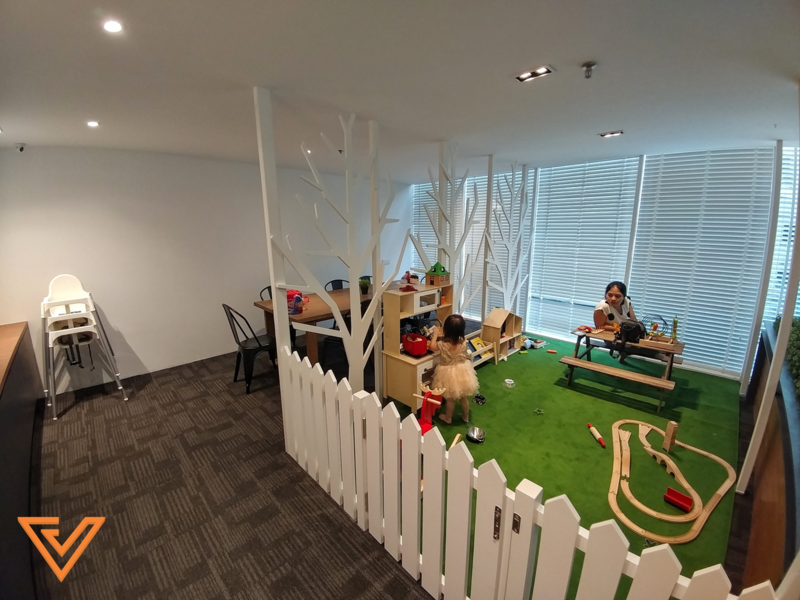 The play area for parents who have kids. 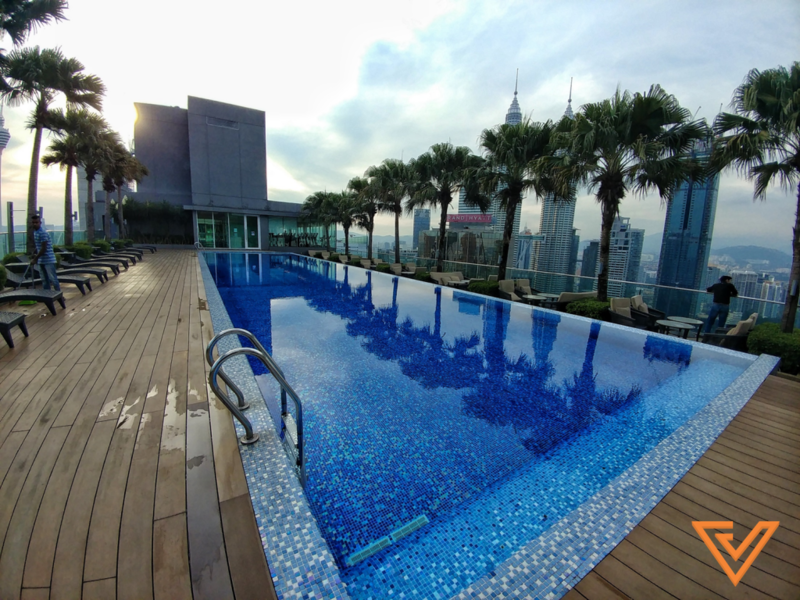 For the final leg of our tour, we headed to the roof to check out the pool. 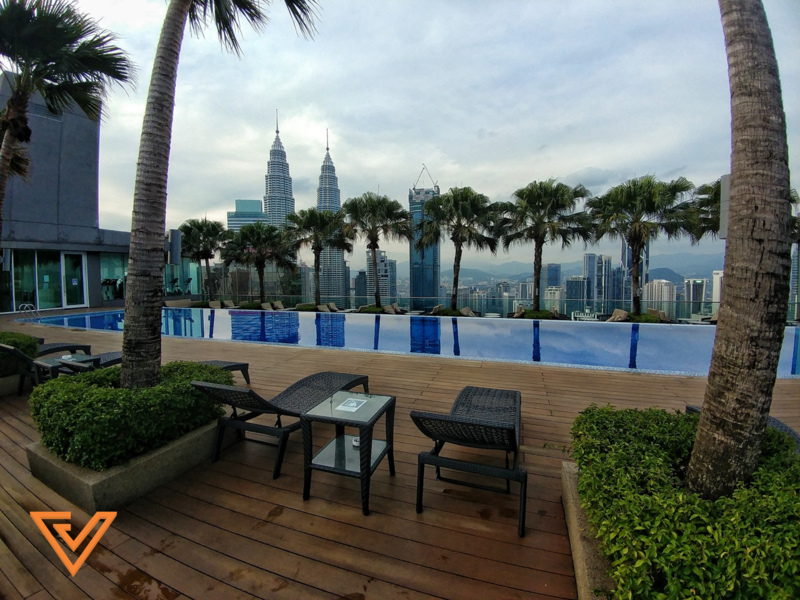 The amazing view of the KL city skyline. 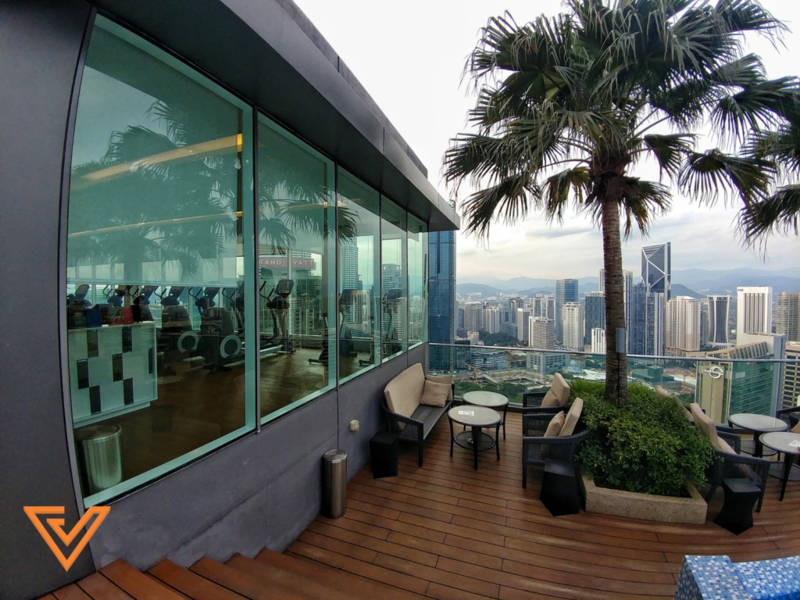 The gym is also located on the roof. An glimpse of the gym, right next to the swimming pool. We were certainly awed after our tour. 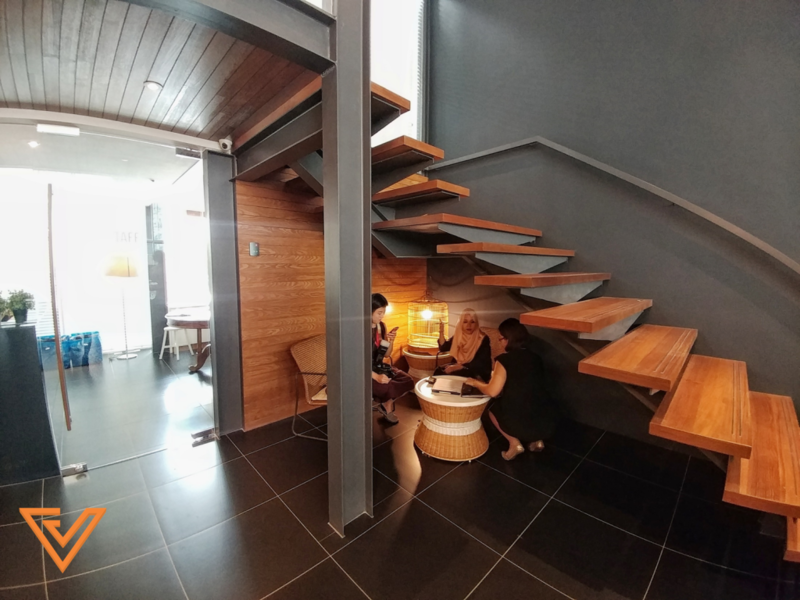 This is definitely a very well-designed addition to the co-working space scene in Malaysia. We do wonder though, beyond all the facilities, how easy would it be to get work done here. That could be an article for another day.